Present times require drastic decisions. If you own a business or just want to show the world something worthy, you have to decide how to present it in a most efficient way. Do you need to hire a professional to set up your website or just go to DIY solutions? But how are you supposed to manage that without having a clue about coding and programming? Even in this case, there are tools that ease the website development making it accessible for web-design newbies with a significant lack of programming knowledge. 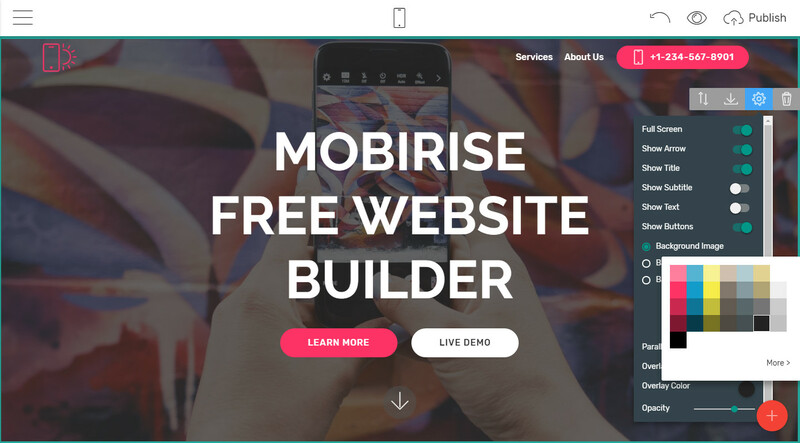 Therefore, this free website builder software review is dedicated to Mobirise free website builder software, one of those web design apps that turn the web development process into an adventure. 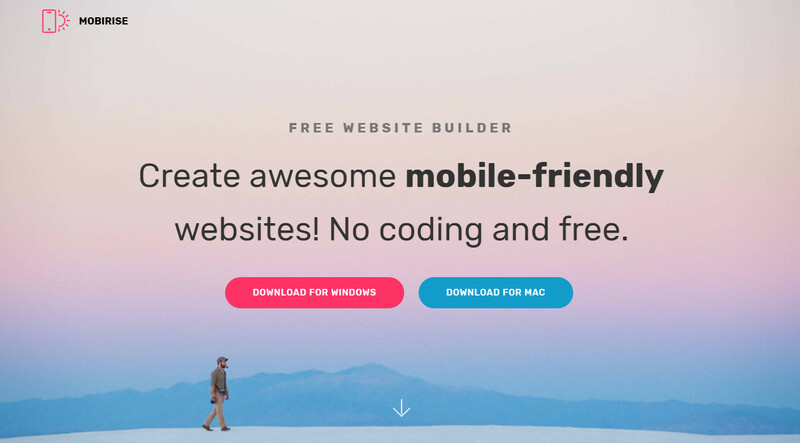 Mobirise is an offline Windows and Mac website builder software, so you just need to download and install it and that will take you just seconds. Mobirise is easy to start with: once it’s installed, just go to the left dashboard into the “sites” section, pick a theme and that’s it. 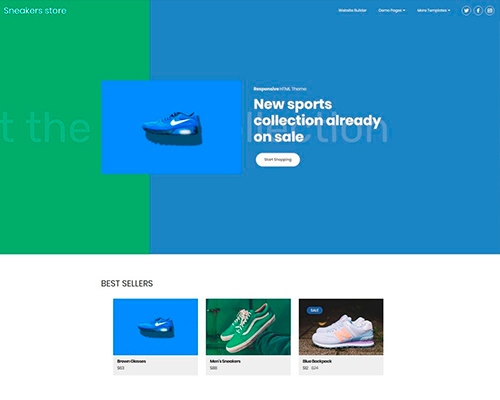 Further actions are minimized to dragging and dropping website blocks from the right blocks panel and stacking them on top of each other. 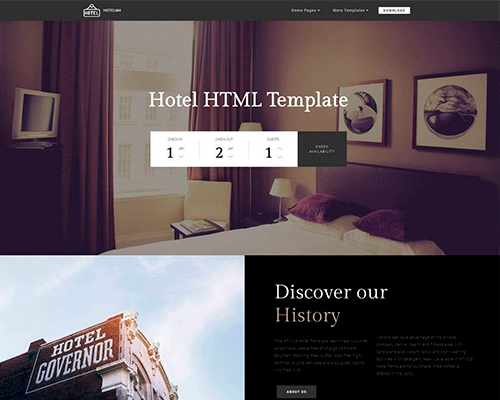 These website blocks are pre-developed functional webpage units that let themselves customize without efforts. Press the “gear” button of each block to run their parameters in order to design your page the way you desire. 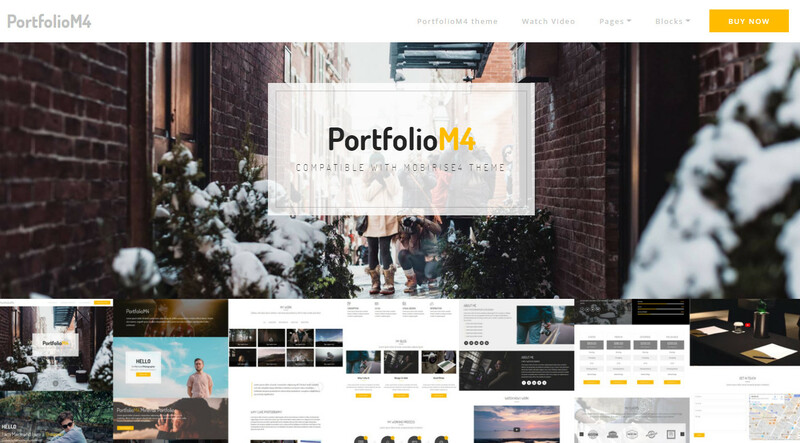 The website content is also not nearly that difficult to edit: exchange images, add videos, type and style the text, embed icons without any hassle. Once the work on your website is finished, publish it locally, via FTP or to Github Pages. The benefit here is that users are not limited by one hosting provider, as they can upload a ready version of their websites wherever they want. As mentioned, Mobirise is a block-based free website builder software. There is a rich collection of these website blocks in each theme of Mobirise available. They are divided into several categories and have similar common as well as specific functionalities. 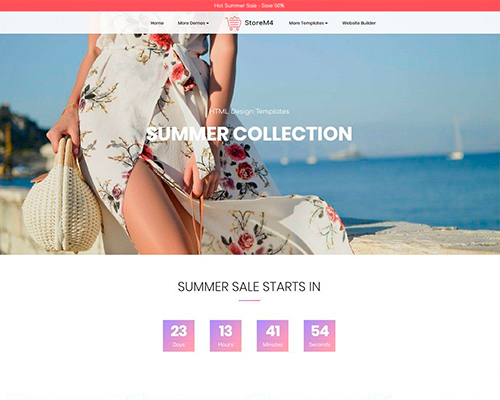 You can choose from drop-down menus, headers including website intros with video/image backgrounds and parallax scrolling, image sliders, retina-ready galleries, content blocks, image and video embeds, features blocks with impressive icons-powered cards, progress bars and circles, testimonials, forms, footers with a reveal effect and more. 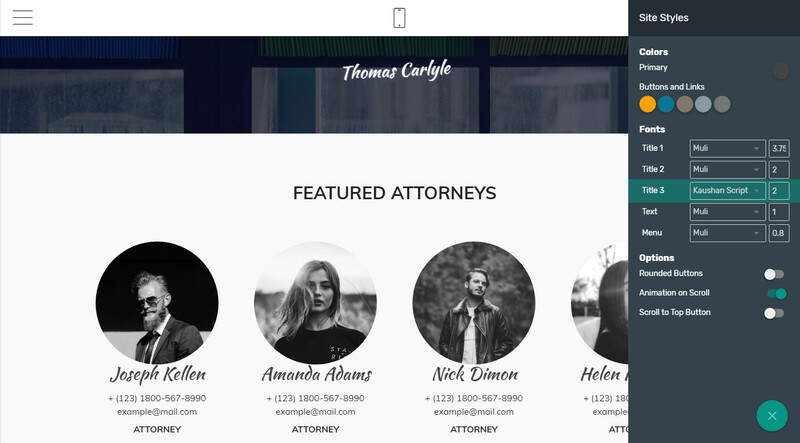 If you go to the “Site Styles” panel, you can change the color of links and buttons, font type and size of the text, add a rounded buttons effect, scroll to top buttons or an animation on scroll. In the Mobirise dashboard, we will find a section called “Extensions & Themes”. That are some sort of add-ons for Mobirise Easy Website Builder that will enhance the web development and expand the possibilities of the application. 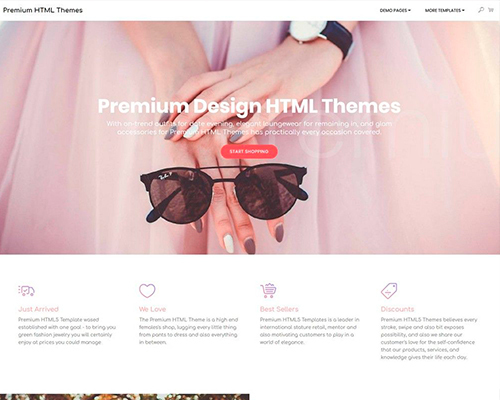 Firstly, there are a bunch of attractive website themes. 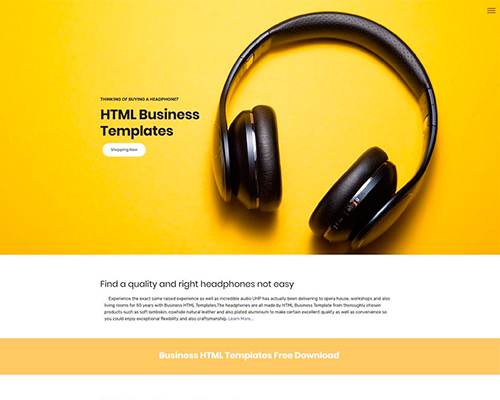 These are mobile-friendly Bootstrap themes with a wide array of customization options and additional features like typed text effect, gradient overlays, moving background intro and much more. 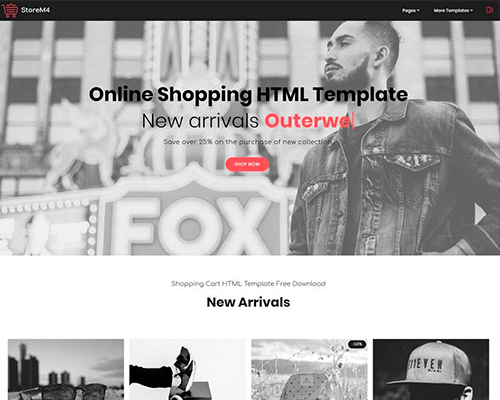 Extensions imply a feature or an auxiliary website block: Code Editor for advanced HTML/CSS customization, icons pack, social comments and feed blocks, PayPal shopping cart as an eCommerce solution and others. 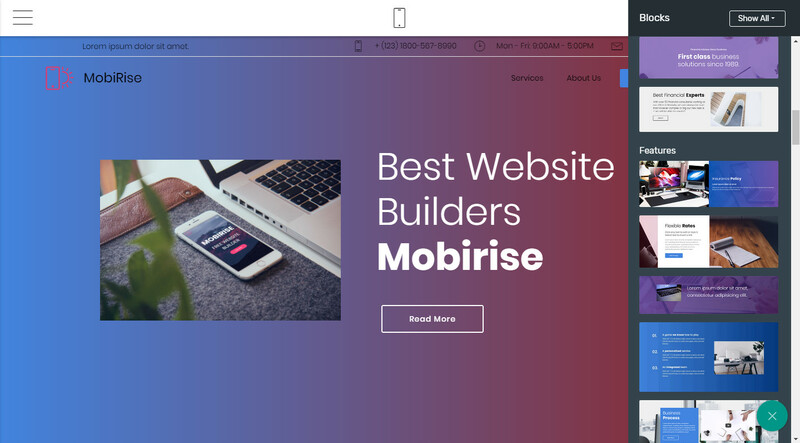 Mobirise mobile website builder software provides an email tech support as well as users can reach their support people on Facebook, Youtube and other social networks. If users have some questions concerning Mobirise, they can possibly find the answers in the Mobirise Help Center. Here Mobirise provides also some tutorials and guides on how to use it. There is an official Mobirise Forum where customers can ask everything and get help from Mobirise support team and other experienced Mobirise users. You can also follow Mobirise Youtube channel with a plenty of tutorials and inspirational videos. 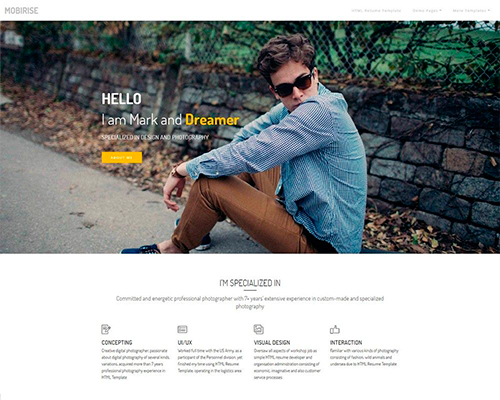 Mobirise is a fully free website builder. You can use Mobirise for absolutely every commercial and nonprofit purpose. Everything you need to care of is choosing an appropriate hosting provider and a domain name. Mobirise has many pros and cons in comparison to other website builders. But some of disadvantages can be considered as advantages because it’s up to you which properties of website builders suit your needs. Mobirise is just a website builder, not a CMS like Wix and Weebly, so it offers no hosting and domain services. But it allows you to choose the domain and hosting provider you want. Mobirise is an offline mobile website creator software, so you’re not bound to the internet connection and can work in every circumstances. Mobirise generates pure mobile-optimized websites powered by Bootstrap, one of the most reliable web development framework. Taking the most website builders on the web into account, we notice that Mobirise is one of the free website building solutions. There are no x-days trials, one-time and monthly charges. The majority of the website builders is overwhelming. It’s pretty hard to decide which is the best one for you and your business and activities. 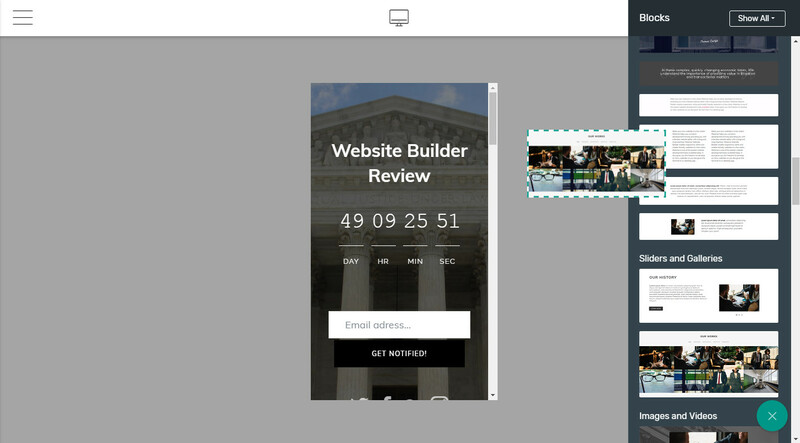 Mobirise is already proven as a reliable drag and drop website builder with a large user community. 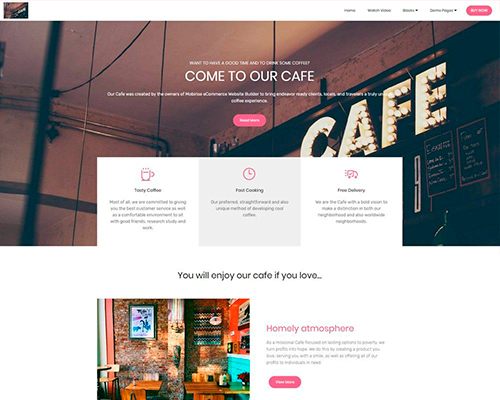 It’s no surprise: Mobirise allows creating unique and completely mobile-friendly websites that look and feel modern and trendy. 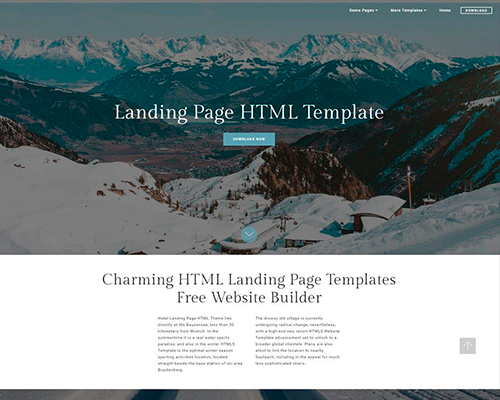 Download Free Website Builder Software Now!